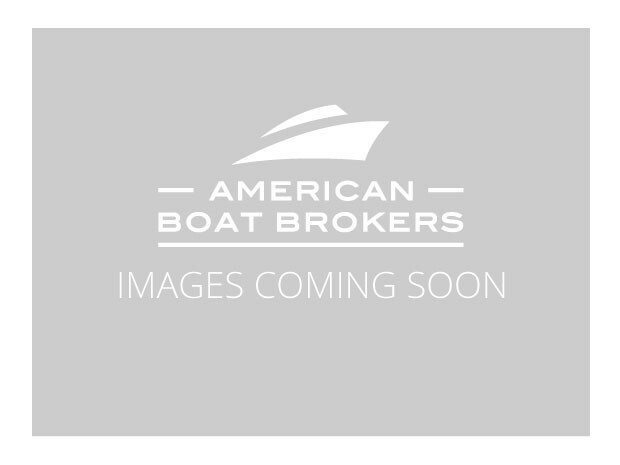 2005 Sea Ray 270 Sundeck SEA RAY 270 Sundeck The top-of-the-line 270 Sundeck, is far and away one of Sea Ray's most stunning large sport boats yet. Just look at her graceful lines and classic profile. 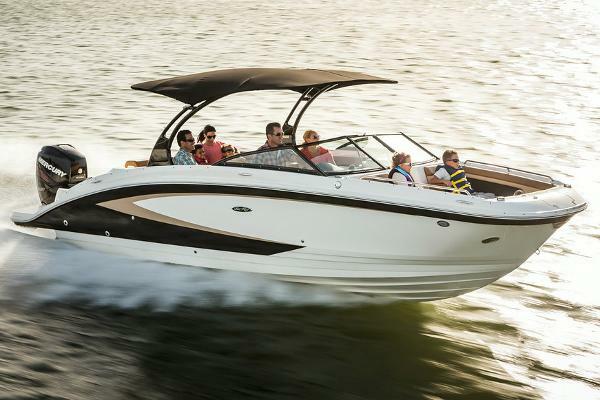 Then check out her 320-horsepower, MX6.2L MPI Bravo III MCM stern drive engine. 350 hours Because there she's all muscle. From the fiberglass, anchor storage area at the tip of her bow, to the fully integral swim platform aft, this beauty is a pleasure to behold. Recently renovated engine and sound system "Kicker". Only 340 hours, with accommodating head compartment, cockpit entertainment center and large swim platform. 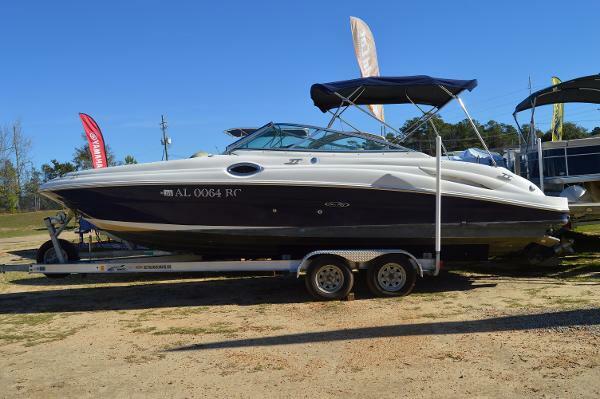 This is a great price on a nice boat that will hold family and friends! FINANCING AVAILABLE!!! 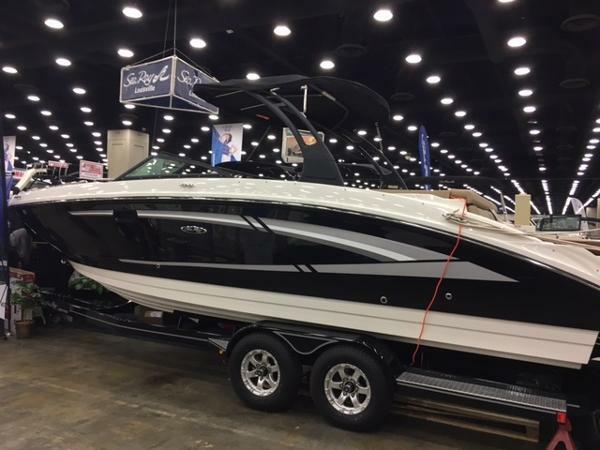 2016 Sea Ray 270 Sundeck Black and White (Mocha Interior) with Black Canvas. 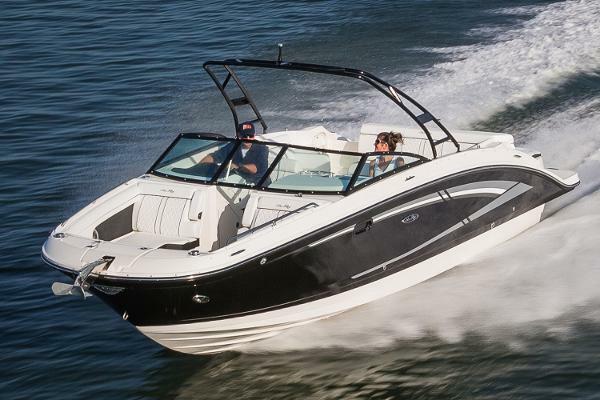 Powered with all new Mercruiser 6.2L MPI Bravo III Duo-Prop (300hp). Options Include: Black Aluminum Arch with Integrated Bimini Top, Black Rub Rail, Brushed Chrome Taped Graphics, Cockpit and Bow Cover, Digital Dash Display (6") with GPS Chartplotter, SeaDeck Faux teak Swim Platform Insert, US Flag Pole, Manual Submersible Swim Platform, Two Tone Gelcoat, Vaccuflush Head Upgrade, Windlass Anchor. 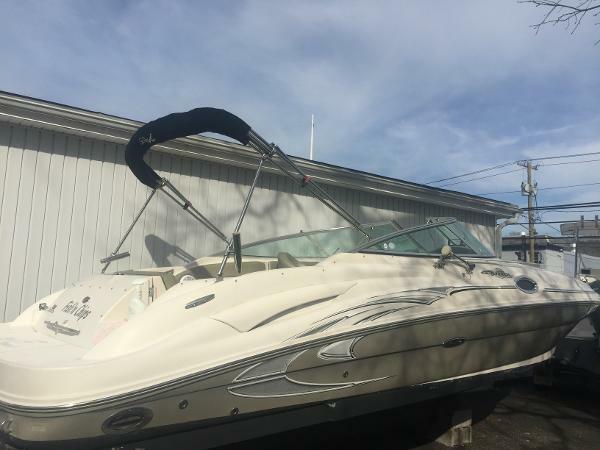 2005 Sea Ray 270 Sundeck SALE PENDING 2005 Sea Ray 270 Sundeck 2011 Venture Trailer414 HoursOne OwnerDealer ServicedFresh Water OnlyMerc 496 MAG B3 375 HP8'10" BeamBottom PaintCockpit & Bow CoverBimini TopVacu Flush HeadCockpit Wet BarLowrance Elite 5Tilt Steering WheelFlip Up Bolster (Helm & Passenger) Bow Boarding LadderSnap In CarpetSwim Platform ShowerTransom DoorBow walk Thru DoorBow Sleeping AreaLarge Head Compartment w/ SinkClarion AM/FM Sound SystemVery Nice Used Boat. Call Today or Stop Up and See. 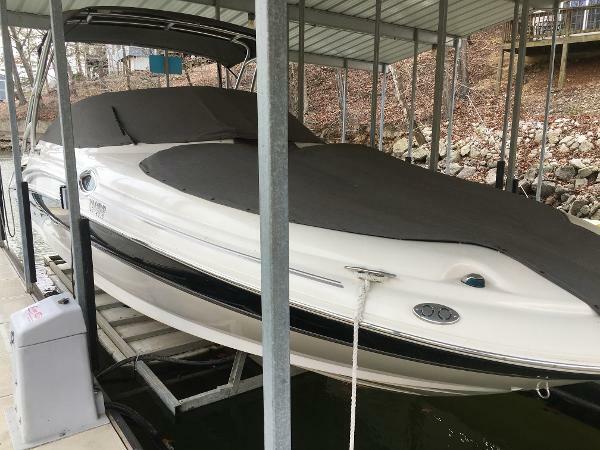 2004 Sea Ray 270 Sundeck This boat comes with bow table and a bow cushion. There is a Clarion am/fm stereo radio with six disc changer and sub woofer. 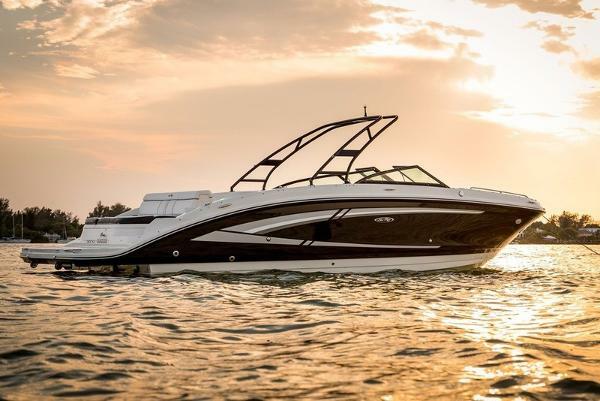 There is a extended swim platfrom, a cockpit shower, cockpit carpet, smart craft diagnostic system, The boat also has captains call exhaust, a porta potty with holding tank, a depth indicator, a pressure water system with sink, and a automatic fire suppression system. 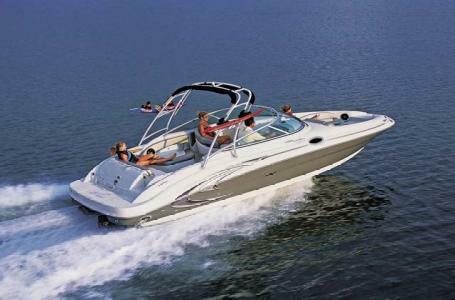 This boat is powered with a 496 Mercruiser 375 h.p. gas engine with a Bravo III outdrive. Canvas includes a cockpit cover and a bimini which are black. 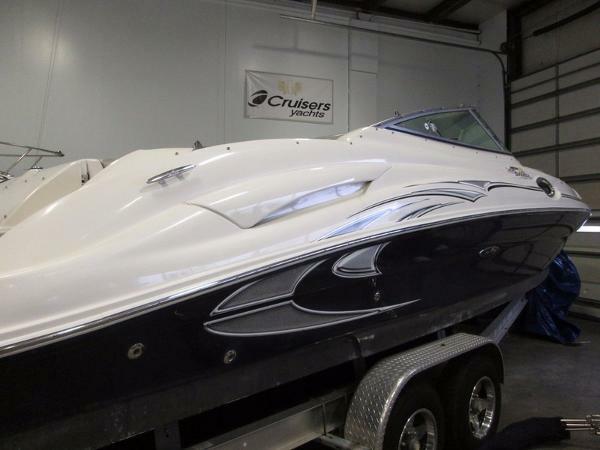 The boat color is black with two tone gel coat graphics. 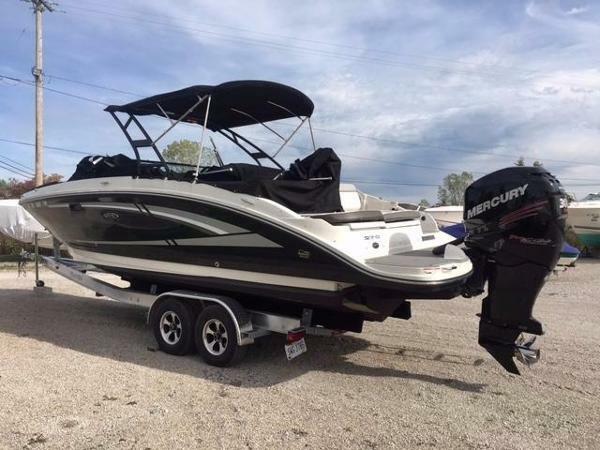 A really great fresh water boat at a great price.The top-of-the-line 270 Sundeck, shown here with an optional water sports tower, is far and away our most stunning sport boat yet. Just look at her graceful lines and classic profile. But check out her 375-horse power engine, because there she's all muscle. From the fiberglass, anchor storage area at the tip of her bow, to the fully integral swim platform aft, this beauty is a pleasure to behold. 2004 Sea Ray 270 Sundeck The top-of-the-line 270 Sundeck, shown here with an optional water sports tower, is far and away our most stunning sport boat yet. Just look at her graceful lines and classic profile. 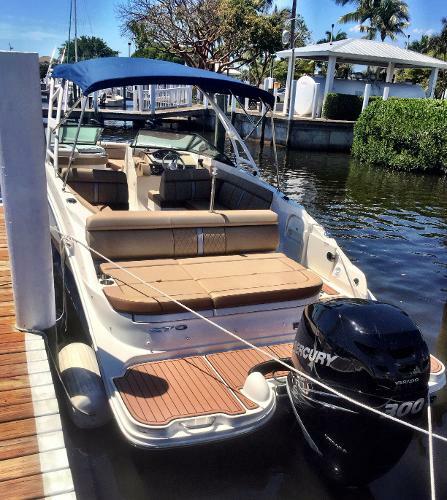 But check out her 320-horsepower, MX6.2L MPI Bravo III MCM stern drive engine, because there she's all muscle. From the fiberglass, anchor storage area at the tip of her bow, to the fully integral swim platform aft, this beauty is a pleasure to behold. 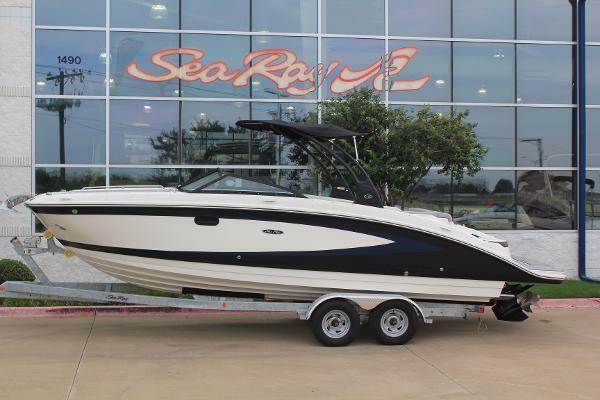 2006 Sea Ray 270 Sundeck Bowrider This blue and white 2006 Sea Ray 270 is ready for a day of fun on the water! 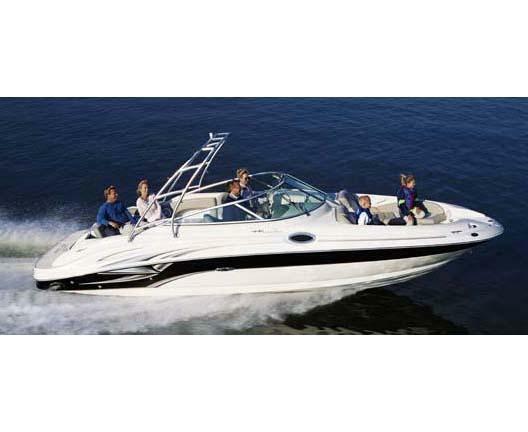 This boat is multi-functional for the active family or the couple who is ready for a wonderful day of cruising. The well appointed cockpit includes plenty of seating and built-in storage, and an enclosed head. Give us a call or come by today. Sea Rays go fast!